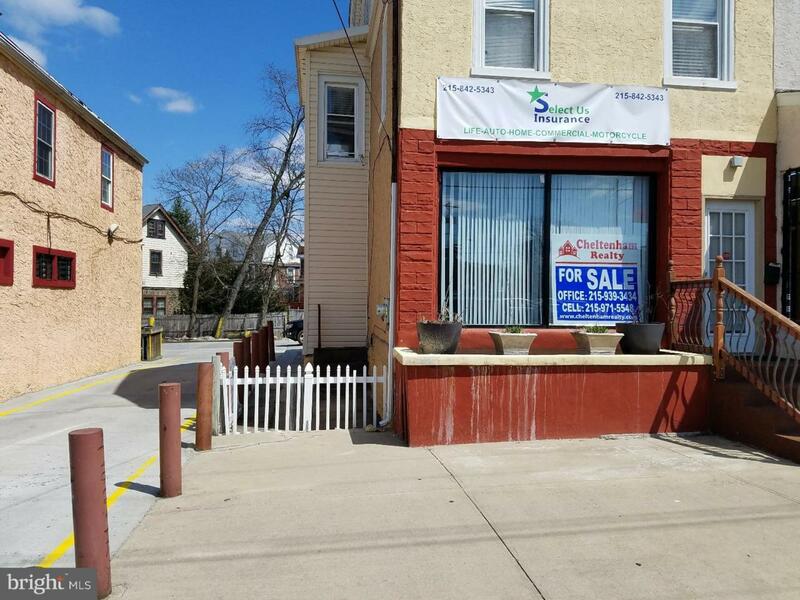 This is a totally renovated storefront with an apartment on second and third floor located on busy Cheltenham ave. with two bedroom apartment above the store. The property has a parking lot for five car in the back with Full basement. Great Location As an Investment Property!! Excellent Property Condition!! Wonderful Investment Opportunity!! Do You Want To Make An Extra Income Through The Property Investment? This Is the One. The possible Monthly Rent Income Is 3,000. First Floor was a Insurance office And 2nd Floor and third floor Has an apartment and both are vacant for quick sale. Come And See.. Hurry Up.. Since This Is An Really Excellent Opportunity. Cross Street Oak Lane Rd. Listing courtesy of Cheltenham Realty.